We have been invited to a friend’s place for a BBQ this weekend and I offered to bring dessert. I couldn’t make up mind between making Coconut Ice Cream or Tiramisu. I even sent text messages the hosts asking for their preference. But I still couldn’t settle on the dish I preferred more and I really didn’t want to make both (this was Mangy’s helpful suggestion). In a very rare state of affairs, I actually had all the ingredients at home to make both desserts which really didn’t help my cause. 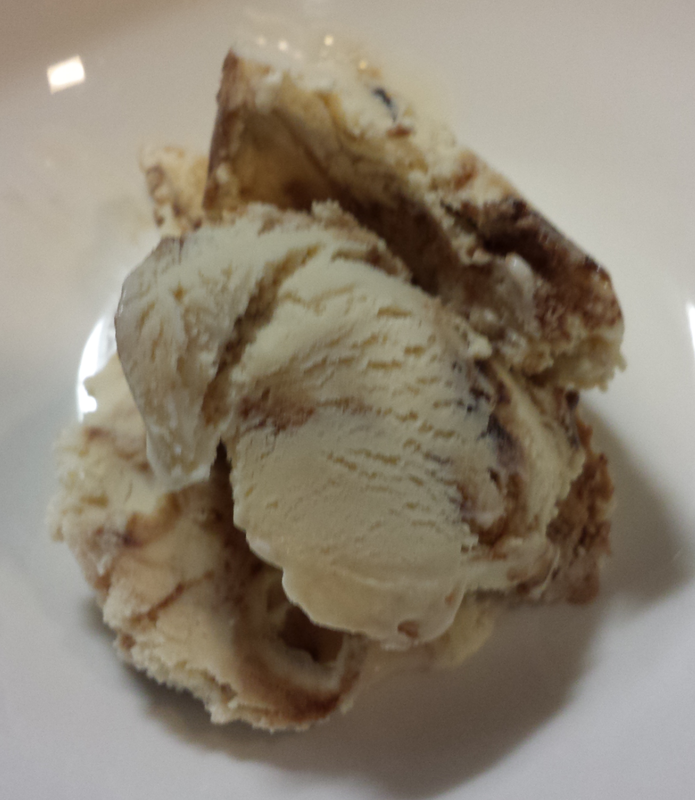 I wanted the flavours of Tiramisu, but the chilly creaminess of a nice homemade ice cream. After much Googling, I found this recipe. I had to make quite a few changes. I didn’t have all the ingredients at home for the Ice Cream, so lots of substitutes required! Trust me to ignore the easy path and cook up a dessert that had half its ingredients missing. The result? Well, the risk was well worth it. Creamy, luscious Tiramisu Ice cream and Mocha ripple = killer dessert. Now the challenge will be transporting the ice cream across town in tropical weather. I might bring a spoon (and a straw) along, if the ice cream looks like it’s not going to make it, I’ll just have to finish it myself. No waste! In the bowl, whisk the mascarpone until fluffy, add evaporated milk, sugar, salt, kahlua and baileys and whisk until smooth and the sugar is dissolved. Chill the mixture thoroughly in your refrigerator. In a medium saucepan, whisk together the sugar, golden syrup, coffee mixture and cocoa powder. Put the pan over medium heat and cook, whisking constantly, until the mixture begins to bubble at the edges. Continue to whisk until the mixture just comes to a low boil, then cook for 1 minute more, whisking frequently. Remove from the heat, stir in the vanilla, and let cool. Chill the mocha ripple thoroughly in your refrigerator before using. Churn ice cream in your ice cream maker according to the manufacturer’s instructions. As you remove the ice cream from your machine, alternate layers of the mocha ripple with the ice cream in your storage container.